“BE MORE BRENDA,” said the ads for CoinCorner, a cryptocurrency exchange. They appeared on London’s Underground last summer, featuring a cheery pensioner who had, apparently, bought Bitcoins in just ten minutes. It was bad advice. Six months earlier a single Bitcoin cost just under $ 20,000. By the time the ads appeared, its value had fallen to $ 7,000. These days, it is just $ 4,025 (see chart). Consider the overstatement of activity, first. Ten years after their invention, using cryptocurrencies to pay for goods and services remains a niche pastime. Bitcoin is the original cryptocurrency and still the most popular. In January Satoshi Capital Research, a cryptocurrency firm, declared that Bitcoin transactions in 2018 added up to $ 3.3trn, more than six times the volume handled by PayPal. 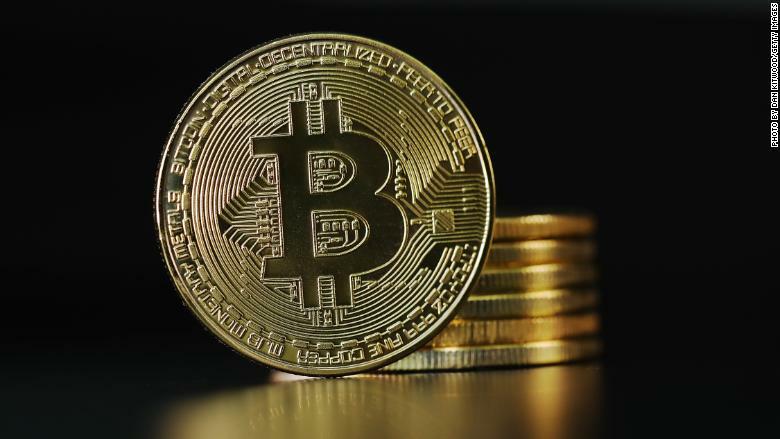 But such figures include an awful lot of double-counting, mostly related to the way Bitcoin handles change, says Kim Grauer at Chainalysis, a firm that analyses Bitcoin’s blockchain. Strip that out, and Chainalysis reckons that Bitcoin accounted for around $ 812bn of genuine transfers of value. Of that, Ms Grauer reckons, only a fraction was used to buy things. Around $ 2.4bn went to merchant-service providers, which handle payments for businesses—a piffling sum compared with the $ 15trn of transactions in 2017 on Alipay and WeChat Pay, two Chinese payment apps. Darknet markets, which sell stolen credit-card details, recreational drugs, cheap medicines and the like, made up $ 605m, and gambling sites $ 857m. Most of the rest was related to speculation. Bitcoin’s pseudonymous creator, Satoshi Nakamoto, wanted it to be resistant to control by tyrannical governments and banks. Payment records are therefore not held centrally, but broadcast to all users. A new batch of Bitcoin is issued every ten minutes on average. That limits the network to processing about seven transactions per second (Visa, by contrast, can handle tens of thousands per second). In 2017, as the crypto-bubble was inflating, the system became clogged. To ensure that transactions went through, users had to pay miners—at one point, as much as $ 50 per transaction. The final problem is fraud. Transactions are irreversible—a boon for con-artists. Ponzi schemes are common, as is incompetence. Cryptocurrency exchanges often collapse or are hacked. In February QuadrigaCX, a Canadian exchange, filed for bankruptcy, saying it had lost $ 165m in deposits when its founder, Gerard Cotton, died, since only he had known the encryption keys protecting QuadrigaCX’s deposits. But on March 1st Ernst & Young, which was appointed to handle the bankruptcy, said that the deposit addresses seem to have been empty for at least eight months before the date Mr Cotton is said to have died. Attempts are under way to get round some of these limitations. Some Bitcoin enthusiasts are testing an add-on called the Lightning Network, which tries to speed things up by moving many transactions off the blockchain. Stablecoins, whose value is supposedly pegged to something else, are touted as a way to rein in speculation. Once again, promise often falls short of reality. On March 14th Tether, the most popular stablecoin, with $ 2bn-worth in circulation, said that it might not be fully backed with dollars after all. None has achieved even Bitcoin’s limited take-up. Most fans simply want cryptocurrency prices to start rising again. In 2017 John McAfee, a cryptocurrency enthusiast who made his money in antivirus software, said that if Bitcoin was not worth $ 1m in 2020 he would eat an intimate part of his anatomy on television. On March 20th he tweeted that losing that bet was “not mathematically possible”. Last year Jack Dorsey, Twitter’s boss, said he thinks Bitcoin will be the world’s “single currency” within a decade. Facebook is working on some kind of cryptocurrency project. Market analysts and pundits provide cheery reassurance that the currency will soon soar again.